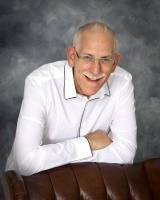 Herky is an organizational consultant, speaker and trainer and has been in private practice since 1992. Herky's areas of expertise are; change management, breaking down barriers in the workplace, managing multi-generations in the workplace, career development and team building. Herky ran a Youth Connections career development program in Southern Alberta for 9 years and he changed the nature of the original concept of that program as set out by the Government of Alberta. He took his program into the school system and lowered the age to include students as young as 13. His model was adopted by many of the other Youth Connections sites in the Province. Having worked with young people throughout his career in many capacities, Herky takes great interest in Generation Y and their impact on the workplace. He developed two projects that were funded through Service Canada; Generation Y in the Workplace and Managing Multi-Generations in the Workplace. Herky created a DVD on the first project and he has presented on both subjects as a keynote and breakout session speaker. As a professional solo gigging musician, Herky has developed numerous ways to incorporate his passion for music into his passion for working with young people and helping organizations grow and change. He has written an e-book on Using Music as a Career Development Tool and has presented on this topic at conferences all over North America and in Russia. He also uses music extensively as a team building tool and as part of his speaking repertoire. For the past 5 years, Herky has trained Government of Alberta Career Consultants on how to use labour market information more effectively and on cutting edge work search tools. Herky is also well known as one who uses humour, creativity and out-of-the-box methods to teach, train and inspire people to step out of their comfort zones, take risks and change their lives. Much of his personality in this regard comes out during his weekly radio show called Career Traxx which airs out of the University of Lethbridge. "Herky is amazing . . .
experienced in the classes he teaches. uses lots of humour and fun"
Really enjoy learning from him"